Of course average height vary across countries and regions. Average height for a man generally ranges somewhere between 5’7″ and 5’10”, while the average woman’s height ranges somewhere between 5’0″ and 5’3″.Women are typically shorter than men. Being tall is a good for some individuals but it could be a curse for the ones that are abnormally tall and can cause serious problems with finding shoes and clothes but most importantly, their health suffer severely from all of these extra added inches to their body frame. Have you ever think of who’s the tallest woman in the world or the world’s tallest man? In this article, we will show you the tallest women in the world ranked on basis of their height in ascending order. Without further ado, let’s get right into the list of Top 10 tallest woman in the world. Heather Greene stands at 6 ft and 5.5 inches tall and lives in Las Vegas, Nevada. This height is without her stilettos that she wears and loves so much. Heather is very famous in the United States of America just because of how tall she is. She does have trouble finding shoes as well as clothes that fit her properly. Most of the time Heather has to have them made to fit customly. Because of Greene’s height, her health is in jeopardy too but we guess when you are popular and have a lot of respect given towards you, it is fine that shoes, clothes etc. do not fit right though your body could break down at such a premature age in life. Rita Miniva Besa is native from Zimbabwe but now she is living in the United States. Rita is in a basketball team, because of her six foot eight inch height. Sometimes it can actually be a good thing for you, when you are standing at such an extreme height. Rita is the best case of that since she is a great basketball player because her height does for her every time she is on the court. She has all the talent for an awesome game and is very popular. We are sure Rita feels very lucky to be the one who she is and should be very proud of her success. Caroline Welz is a 6’9″ tall German woman. Caroline actually holds the title of being the tallest woman in whole of Germany. She is pretty famous in Germany for her efforts and work that she has done in modeling, much like Heather Greene. Her unusual height completely welcomes modeling. She stands proudly over other women of average height and over high doorways. She isn’t ashamed of how she looks or who she is and in many ways, Caroline Welz is seen as an motivation to all tall women across the entire globe. In our opinion, Caroline is definitely in the right for being so proud of her tallness. It is a majestic feat being the tallest woman in your entire country. Malee Duangdee with a height of 6′ 10″ (208cm) was a contender for the world’s tallest girl. Malee lived in Thailand. Her feet were 32 cm and her body weighed 127 kg. In 2016, at the age of 24 Duangdee passed away. She was the second tallest woman in Asia and was the tallest woman in Thailand. Her height was due to a tumor on her pituitary gland, detected behind her eye. The doctors made two attempts to eliminate the tumor but both times it grew back. At last, the only hope for Malee to have a normal and usual life was by consuming a tumor shrinking drug but because of the high price of drug, it was impossible for her family to afford. The next woman on the list of our Top 10 tallest woman in the world is Gitika Srivastava. She actually plays basketball for a living and stands at six foot eleven inches. 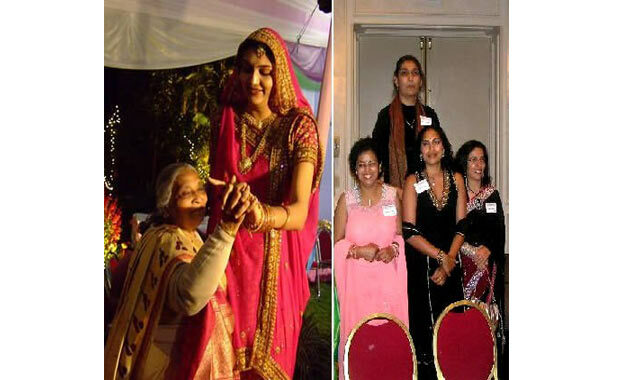 Gitika is from India and she is the sixth tallest woman in the world, this makes her a great motivation to so many others tall people living in India. Her father Mr. Pradeep Srivastava, also was a basketball player he was whopping seven foot four inches or 221 centimeters tall in height. This is where Gitika inherited the gened of being so tall. Beside this things, she is also a very successful businesswoman. Gitika serves as the CEO and founder of Navya Network, which is a Massachusetts based startup that focuses on technology related with healthcare. She is a partner with KAHM Capital, an investment firm that solely works with biotechnology and healthcare related companies. Gitika Srivastava is the bset example that you can live a relatively “normal” life inspite of being very tall. Uļjana Larionovna Semjonova is born on 9 March 1952 is a retired Soviet-Latvian basketball player. She is the first woman to cross the threshold of seven foot category, standing at 2.15 m or 7 ft 1 inches. We’ve already talked over a few basketball players so far, but Uljana Semjonova is perhaps the most renowned basketball player here. In the 1970s and 1980s Semjonova was the leading women’s basketball player in the world. Uljana was famous for having the largest feet ever in women’s basketball wearing a men’s size 21 (US) / 58 (EU) shoe. With TTT Riga, she won the European Champion’s Cup 15 times and also 15 championships in the Soviet Union. In international play Semjonova was also very dominant, as she never lost a game in official international competition and winning 2 Olympic Gold medals in 1976 and 1980 while playing for the USSR. In 1999, Uljana was one of the first inductee into the Women’s Basketball Hall of Fame. 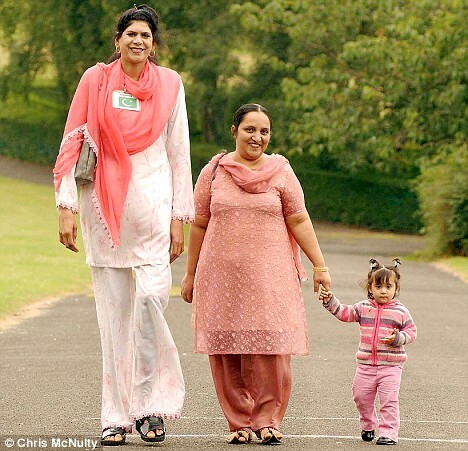 Zainab Bibi, stands at 7’2″, or around 218 centimeters tall. Bibi is the fourth tallest woman in the world and the tallest woman to be born in Pakistan. Because of her surprising height, her family forced her to move to Britain. Seeking a place to stay, she petitioned for an asylum in Britain. Although her petition was refused, Zainab was still given two years free to live in a Greater Manchester flat. In the recent time, Zainab was subject to some offensive media attention when she was accused of murdering her husband. Policemen suspect that Bibi even tried to go so far as to cook his husband’s body so that she would not be caught for the crime. Zainab Bibi, however, has gone on record to say that she murdered her husband because he was mistreating her daughter. Malgorzata Dydek measured in at 7’2″, or 2.18 meters was another majorly successful female basketball player. She lived in the United States but was of Polish descent. She’s commonly known as Margo Dydek in the United States. Margo was popular as the tallest professional female basketball player in the whole world. In 1999 during the European Championships, Margo had represented Poland, and won gold with them. Dydek also had a prosperous career in the WNBA. She had played for the Utah Starzz, the Connecticut Sun, the San Antonia Silver Stars, and the Los Angeles Sparks over the years. In 2003 as well as 2006, she was named as WNBA All-Star. Dydek suffered a major heart attack that took her life, while she was pregnant with her third child. All the way to 7’7″, or 231 centimeters, is on second position of our list. For a very long time, she was renowned as the tallest woman in the world. Sandy held that honour during the last 15 years of her life. Sandy Allen’s height was also due to a tumor in her pituitary gland, much like Malee, who we mentioned earlier. Unlike Malee, Sandy Allen was able to get rid off the tumor, when she was 22 years old. She just would have kept growing, if the tumor had not been removed. However, she still had to face health problems toward the end of her life. Sandy had to use a wheelchair, as her back couldn’t bear the rest of her body when she was standing. In the end, she died of blood and kidney infections. 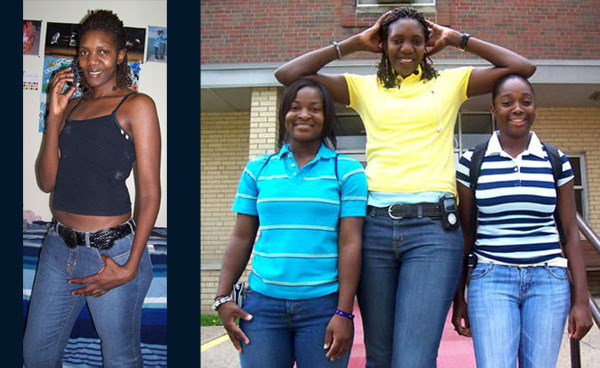 Yao Defen was another woman whose height is also the result of a tumor in her pituitary gland and was the former tallest woman in the world. Born in 1972 in China way back to a poor family, Yao could not go through the surgery to get the tumor removed. She finally had it removed in 2002. But till that time Yao’s gigantism had increased to a pretty serious stage. Despite all the support and despite best efforts that she received from those in closeness to her, she suffered from several health problems. During her lifespan, she had to cope with osteoporosis, hypertension and heart disease. Yao was tall, but she was pretty fragile. Much to the shock of her supporters, in 2012 Defen died of an unspecified illness. It’s unfortunate, but individuals like Yao Defen are the examples that sometimes a natural gift can become a physical deformity. Sun Fang became the tallest living woman in the world and the tallest woman in China, after the death of Yao Defen on 13 Nov, 2012. Sun Fang was often mistaken for Yao Defen because of their similarity in appearance.